Rochester Hills Roofing is the best place to call for any of your roofing needs. We do it all from roof repair to a full roof replacement. We do both residential and commercial properties and we are great at it! At Rochester Hills Roofing, we have decades of experience and have put thousands of new roofs in throughout the Metro Detroit Area. A very large percentage of our business is from referrals from our already happy customers. We have a great reputation in the local Detroit area and would love to assist you with your next roofing situation. Having problems with your roof? Do you have a leak in the roof? Give us a call today for a free roof inspection and estimate. Rochester Hills Roofing specializes in roofing repair and roofing replacement and we always provide a roofing quote before any work ever begins. You will find it will be easy to work with us because it is our goal to provide you with a great experience from your very first call until your roof is repaired or replaced to your satisfaction. There are many different types of roofs. The most common product used on a roof here in Michigan is asphalt. 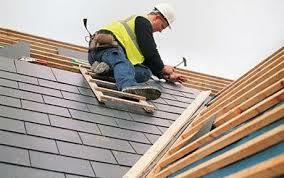 The other types of roofing include; tile, wood, slate, metal and flat roofs. 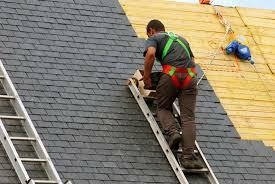 At Rochester Hills Roofing, we do it all, and we can install both residential roofing and commercial roofing. 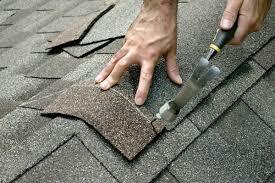 There are also many types of grades, styles, and quality of asphalt shingle roofs. Obviously, the better quality of roof that you install, the longer it will last. At Rochester Hills Roofing, we offer many options for you from the most economical, to the top-of-the-line highest quality roofs. Whatever you choose for your next roof, Rochester Hills Roofing will make sure it is installed properly and professionally and will be happy to advise you to help you make the right decision. Whatever you choose, we will only install quality roofing materials as we offer warranties and stand by our work. Most Asphalt roofing comes with a manufacturers warranty that can be from 10 years to as long as 50 years. Obviously, the better quality roof you put on your home, the longer the warranty that is provided. The roofing contractor or roofing company that you choose to install your roof can make all the difference in the world. There are many roofing companies out there that claim to know how to install a roof but really do not. We have heard horror stories of people who just get a new roof and experience roof leaks in the first 30 days or that the shingles start falling off in the first 90 days. This is a very common occurrence when you hire a roofing company that claims to be cheaper than all the rest. If you do not hire an experienced roofing contractor to install your new roof, you could be wasting thousands of dollars and sometimes have to start all over again. Make sure that the roofing company you choose has been in business for awhile and knows what they are doing. 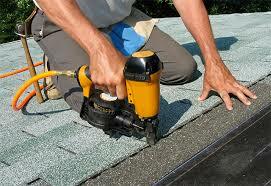 At Rochester Hills Roofing, we have installed thousands of roofs and have over 15 years experience. We offer a full warranty and stand by our work. We will not be satisfied with your new roof until you are satisfied and we back this up with a company that has been in business for years. Make sure you call Rochester Hills Roofing and not the local handyman or you could just make things even worse for yourself. Roof Repair Roof Replacement Not sure. Need help! Many times a leaky roof means that it just needs a minor repair. At Rochester Hills Roofing, we are happy to provide a free roof inspection in order to ascertain just what the problem is and will provide a free estimate as to the cost of repairs. Many roofing companies are around just to try to sell you a new roof. We want to make a customer for life and know that if we take good care of our customers, they will call us back time and time again. If you have a leaky roof or see any wet spots on your ceiling it is best to call us immediately so that we can fix the problem before any more damage occurs. For every day your roof leaks, it could cost you more roof repairs. We all know that replacing a roof does cost some money. There are certainly some benefits however for getting a new roof. A new roof brings up the value of your home should you decide to sell it. It can also help on heating and cooling bills by protecting your home from the elements. It is our job to assist you in picking out the roof that is right for your home and for your budget. Many people do not know this but if damage to your roof was caused by bad weather, many times your homeowner's insurance company will pay to fix or even completely replace your roof. 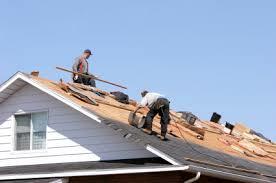 At Rochester Hills Roofing, we are specialists at working with the insurance companies. It all starts with a phone call to us. We will come out and do a thorough inspection of the roof. If you need a roof replacement or roof repair we will do our best to find out if it is weather related so that you have the option of filing an insurance claim. We will also assist you in filing all the appropriate forms with the insurance companies. At Rochester Hills Roofing we want the entire process to be simple, easy and quick and we are always there to help. 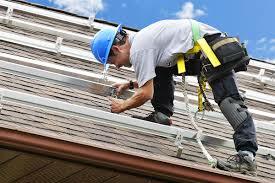 At Rochester Hills Roofing, it is our job to make your roofing problems easy problems. It all starts with your phone call to us today. We will come out quickly and do a complete roof inspection. 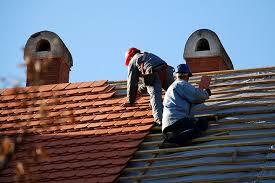 We will then advise you if you need any roof repairs or if you need a complete roof replacement. We will provide you with a no-cost estimate, and we get the job done quickly and with little disruption of your day to day life. Our entire staff at Rochester Hills Roofing is here to help you and it is our goal to provide excellent customer service to all our clients. Our installation crews are all professional and have years and years of experience. They will do an excellent job for you and then completely clean up after themselves. Although we are called Rochester Hills Roofing, we are able to provide roofing service to homes and businesses throughout the Metro Detroit Area. We are specialists in both residential roofs and commercial roofs. 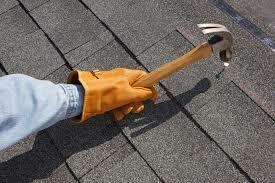 There are so many scam artists and inexperienced people out there who claim they can fix or replace your roof. Many of them are just out to sell you a new roof. 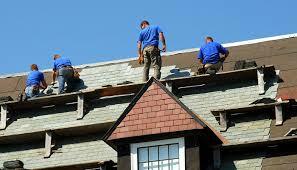 Come with the experts at Rochester Hills Roofing and work with the experts on roof repair and roof replacement. Call us today and see just how great we really are! Looking for a plumber in your area? Check out Five Guys Plumbing Dearborn for Plumber Dearborn. Five Guys Plumbing Westland for Plumber Westland. ​Five Guys Plumbing Canton for Plumber Canton. Five Guys Plumbing Farmington Hills for Plumber Farmington Hills. ​Five Guys Plumbing Clinton Township for Plumber Clinton Twp. Five Guys Plumbing Warren for Plumber Warren. ​Five Guys Plumbing Troy for Plumber Troy. Are you buying or selling a home in Canton? Call our friend Frank Bartlo.